"Jamie is great! She listened to all my needs and found great homes to choose from. She is quick to respond and very knowledgeable of what she does. Would definitely buy another home from her!" "Gerry Barger was my agent. He was flexible, responsive and helped me purchase a condo that I am very, very happy with! He helped steer me in the decision making process to ensure that I was not settling and was getting exactly what I wanted. He also gave great advice on service providers and made the whole experience very smooth and painless. I have recommended him to several other people in the market." "Jamie knows her market and helped me get a great price on an incomparable unit in Midtown Atlanta. As a seller's agent, Jamie was responsive and incredibly helpful in getting more than I wanted when selling my unit. If I ever decide to move again, I will definitely use Jamie to help me find a new place and to sell my current unit." "Jamie was a professional in every aspect. 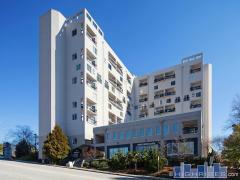 We would refer to anyone who wants to buy or sell a condo in Midtown Atlanta. She is extremely knowledgeable of the area and the different buildings. Thanks to her we were able to sell our unit within 90 days." "In the spring of 2015, I worked with Gerry Barger and he helped me buy a condo. This was my first experience with buying and Gerry was beyond helpful. It was very obvious how experienced he was and he brought so many thoughts and ideas to my attention that I would have never thought about myself. I would 100% recommend him to anyone and everyone. Gerry was very attentive throughout the entire process and even months after I was living in my condo he emailed me to check in and make sure things were going well."